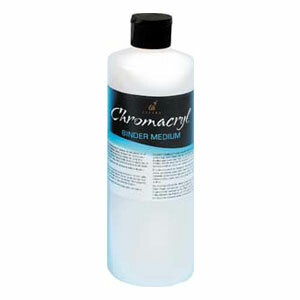 Chromacryl Binder Medium is an excellent primer used to seal and prepare all painting surfaces or extend paint. Highly versatile, Chromacryl Binder Medium is ideal for glazing, and is also an excellent adhesive for collage or papier mache applications. Dries clear.